After I finally played the original StarCraft to death, I finally went out of my way to play many other types of RTS games. Some of the games I went through included Command And Conquer Generals, WarCraft 3, Rise Of Nations: Rise of Legends, and the first Company of Heroes. 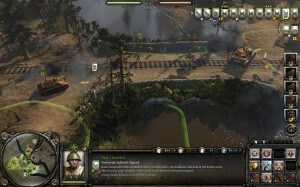 The first Company Of Heroes came out way back in 2005 and at the time, was a breathe of fresh air from the huge amount of RTS that were being released. It mostly focused more on commanding platoons of troops of using cover based tactics for the majority of the game along with use of infantry weapons, vehicles and the like. 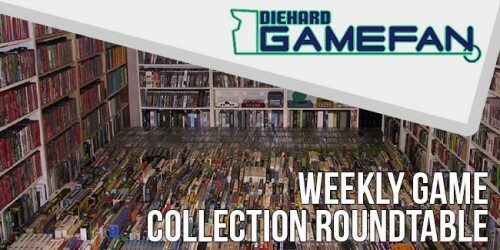 It was a fun and different experience from all the sci-fi and fantasy strategy games that were everywhere in the mid 2000’s. Nearly 10 years later, Relic finally brings out a sequel and to be very frank, it’s the same game with a fresh coat of paint. In the first Company of Heroes, you played as the allies in World War 2 advancing into Nazi Germany. In Companies of Heroes 2, we take control of the Soviet Russia, as they fend of an invading Nazi invasion and then proceed to follow the course of history. Oddly enough there is a centralized story here where you relive the war through an imprisoned commanding officer with a guilty conscience. This third person recant story telling is becoming quite clichéd as I have now seen several games use this method. Other games that come to mind include The Witcher 2 and Dragon Age 2 being the most recent and notable games to use this style of story telling. However regardless of the storytelling method, the game’s plot is generically weak and formulaic. 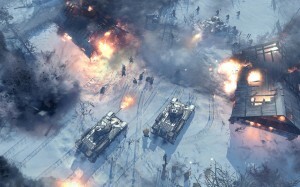 The game tries it’s best to retell epic battles in Soviet Russia like the Siege of Stalingrad and adjusting them to suit the needs of the developer. As you play through the missions they don’t even touch the plot, it’s a by the books accomplish the adjective mission based affair. Anything relating to plot revolves around the commanding officer talking to his superior and the use of historic locations to provide a setting. As for the game, Company of Heroes is a buggy and easily forgettable experience but it does have some positives. Upon trying to play the game I was already meet with several bugs that either crashed the game directly to the desktop when loading a save file or froze my game at the loading screen of the campaign mode. I’ve also had a few issues of getting online for matches due to server authentication issues. Sometimes I got on and never had a problem, other times it was a pain in the rear and I usually had to wait it out. I even had issues with trying to play offline skirmish matches against the PC because of the server issues. 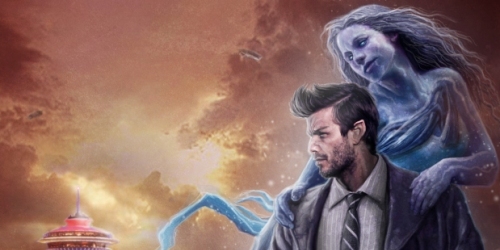 Once the bugs finally ironed themselves out, I was looking forward to seeing what was in store for me after waiting nearly 8 years for a proper sequel to arrive. Unfortunately what I played is the same game with a completely different setting with only a few news gameplay additions. Essentially, Company Of Heroes 2 plays just like the first game. In the campaign mode, you play through a series of missions with adjectives to follow, you usually have to march your way through waves of enemy infantry, tanks and even the occasional air raid unless you force the Nazi army to hightail it out of your country. One of the interesting elements in Company of Heroes 2 is how Relic represents the historic facts of the Soviet Army. In history, The U.S.S.R. had the highest set of casualties due to the countries huge population and to mirror this, Relic allows you the ability during missions to call in new sets of infantry almost nearly infinitely to back you up. This ends up being a double edge sword as you can stockpile your troops to easily accomplishes your mission and makes it extremely to fail any mission whatsoever. Another new element introduced in Company Of Heroes 2 is the winter weather factor. As stated in history, many Nazi soldiers died during the coldest says of the winter in Soviet Russia. Here, the cold weather plays a factor in the game as it can damage and kill soldiers on both sides whom are left out in the open for too long. While this is a nifty gameplay feature it is seldom noticed due to the constant movement of units and them being in close quarters to prevent the weather from affecting them. Other weather effects like blizzards can make visibility difficult for all units on screen. This is all part of the Trusight mechanic Relic added to the game to give off a more realistic view to a soldier battlefield vision. To be honest it’s just another form of the fog of war that we’ve seen in every RTS games and even some RPG games like Baldur’s Gate and the recent Dragon Age. 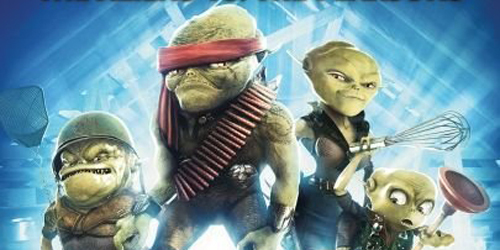 One of the weirdest historical elements added to the game is the infamous Order 227. This was an order sent out by Stalin himself, where commanding officers can kill any retreating soldiers unless directed to retreat. Later in the game you will be able to call Frontoviki Squads and a Law Enforcer arrives and starts shooting your men one by men if you have them retreat before a set time limit is up after deploying them. Now I don’t exactly see how this is really even a worthwhile gameplay addition, granted it’s good to know what kinds of military practices were being used. However it really doesn’t serve any purpose other than to force you to play with a more offensive minded play style despite the cover system already in place. Aside from those additions, Company of Heroes 2 plays almost identically to the first. You still command small platoons of soldiers, marching them up and down a small grid based battlefield trying to either defend or acquire tactical locations, rescue infantry or just advance and kill every Nazi you can until they retreat. Your interface is still the same as well with the mini-map in the lower left corner showing of important locations of troops or objectives and your troop commands in the lower right corner. More abilities, munition drops and a variety of vehicles and buildings you can use become available as you progress through the campaign mode, slowly teaching you how to best utilize them in certain scenarios. The multiplayer player experience is primarily where the game is suppose to steal away most of your time but unfortunately just didn’t do it for me. Some of the good elements I found in the multiplayer revolved around upgrading your soldiers with unique abilities and modifiers that can give you quite an advantage over your adversaries. The upgrade mechanics work just like the ones found in Call of Duty or Battlefield, the more you pay and gather experience points, the more you can spend to upgrade and better outfit your men with unique abilities like extra damage towards tanks using mortars. Also you can control either the germans of soviets, each with their own unique sets of attributes that make the matches all the more interesting This can keep you playing for a good chunk of time but sadly patience will take its toll because Company of Heroes 2 has some of the slowest multiplayer matches in any RTS game to date. With the ability to move a large number of troops and vehicles, they not only take a lot of time to get from point A to point B but the time it takes to kill the opponent can take awhile even with upgrades. On top of that it can get quite chaotic at times to where you might lose track of your own men especially in a 2 on 2 or 4 on 4 battle. There’s also the minor issue of game play balances that arises throughout the game. Some elements of the game like the infamous flamethrowers, can make the game quite lopsided. The flamethrowers for instance deal quite a lot of damage in a short amount of time and can actually kill more soldiers hidden in buildings than your men shooting at them in an open field. Thankfully some of these imbalances are far and few in-between. 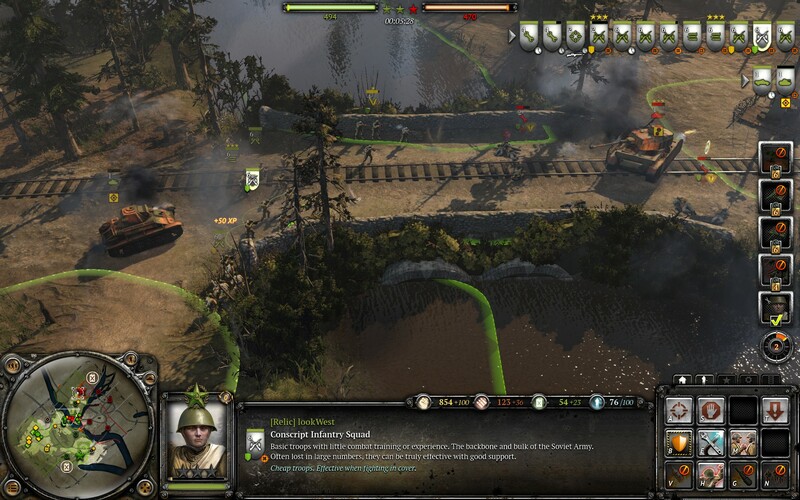 Outside of a short 15 mission campaign mode and the multiplayer, there is also the Theatre of War mode. 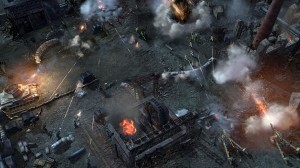 This mode allows for either single player or co-operative play in playing mission with unique objectives to complete. You get to enact epic battles from World War 2 and take on huge adversities. Each battle has a centralized theme to the battle and the abilities of your men and the environment will reflect that. There’s a total of 18 missions here for you to attempt to complete however it suffers from some of the same slow pace combat that plagues the multiplayer. Aside from that the concept is actually quite a novel one and Sega has mentioned there will be more mission made available via downloadable content. Theatre Of War is probably the best part about Company Of Heroes 2 and it’s good that Sega is looking to keep it going. 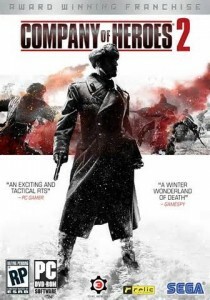 Unfortunately I can’t really recommend picking up Company Of Heroes 2 for the simple fact that outside of some of the unique gameplay elements, it’s basically the same game I played 8 years ago. Company of Heroes 2 feels more like an expansion than a true sequel with the only new elements being the Weather and Theatre of War game mode. The multiplayer mode feels incredibly slow and just doesn’t come off as enjoyable to me and there’s the huge amount of game crashing bugs I kept running into. The campaign mode is suppose to be the game’s bread and butter as it recounts the war from the Soviet perspective but instead we are given a small amount of the actual impact the war had on the U.S.S.R. Overall I did see some bright spots in Company Of Heroes 2 but they weren’t strong enough to make me forget about the other issues that plagued my gaming experience.